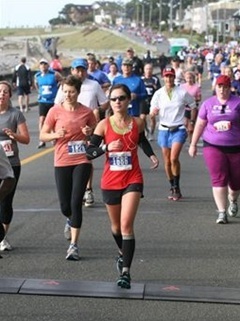 Running the 2011 Goodlife Fitness Victoria marathon. Really dropped the ball on posting a race recap after the marathon. But no matter, there wasn’t a whole lot to report anyway. 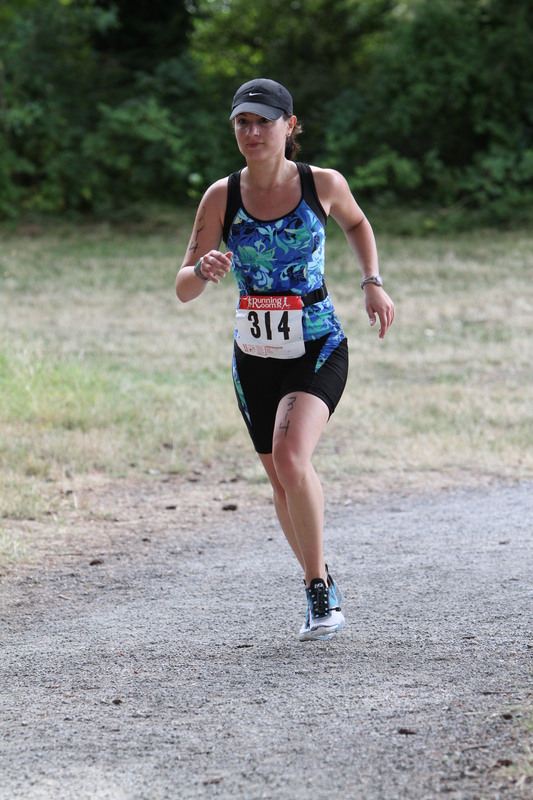 No crazy mishaps or injuries this time — I actually ended up having a really great race. I stuck to my training plan, which was to go out slow until I found my legs, and expect a 1-2 minute positive split. I actually maintained a decent pace throughout the whole race, and only really struggled in the last 3 km. I have a running shoe addiction. I don’t think an addiction to shoes is unusual, though; most girls I know have a closet full of pumps, strappy sandals, wedges, boots and kitten heels. I just happen to have a closet full of running shoes. 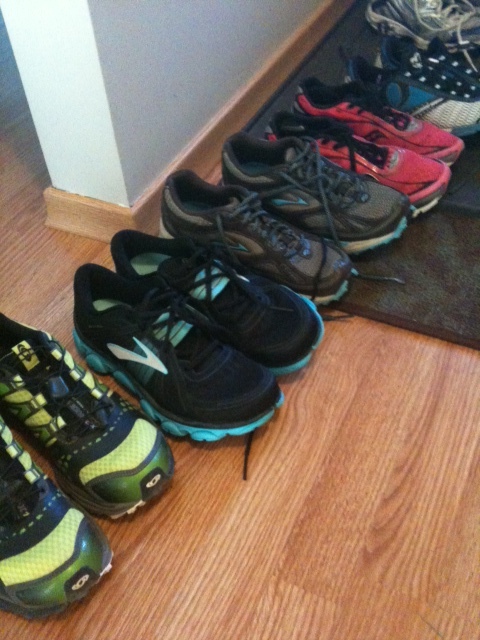 I probably own more pairs at a time than most amateur runners, though. I think right now I have about five in rotation: tri shoes for triathlons; light weight runners for short, fast runs; two pairs of trail runners for summer and winter; and big, clunky stability shoes for long distance running. I’ve read that it’s good to have a few pairs to rotate through so your shoes last longer (rule of thumb is to replace them after about 600 km, or every 6 months — whichever comes first). 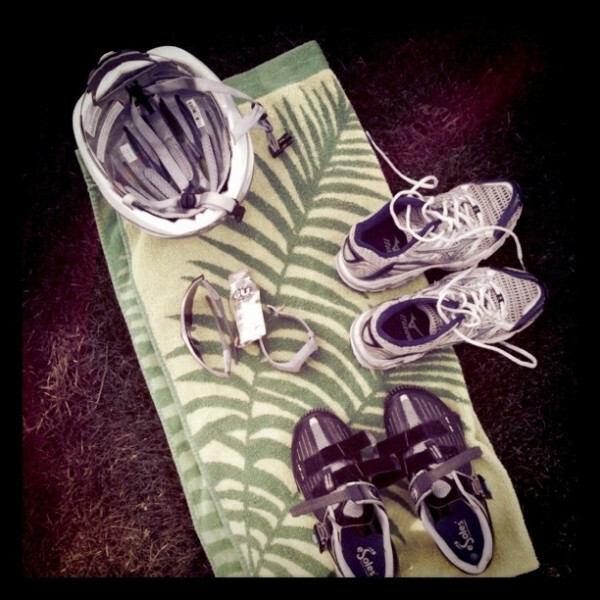 Tranistion area: Helmet, bike shoes, running shoes, sunglasses, gel, Garmin, towel. I did my first transition today! My tri group had our first race simulation of the season this morning out at Thetis Lake, where we got to practice our swim-to-bike and bike-to-run transitions, as well as doing all three sports back-to-back. The day before, however, I decided to see what my legs felt like on the run after a 35 km ride (the Olympic triathlon bike distance is 40 km). A mass participation cycling event in Victoria lead by Tour de France 7th place finisher and local cycling phenom Ryder Hesjedal AND “Captain Canuck” Trevor Linden? Why not fit that in amongst all of the half marathons and triathlon training I’ve been doing lately. Might as well do it, since I just bought a proper road bike and my work happened to be a founding sponsor. It’s hard to say no when you’re working at the event’s headquarters. Things are going to be a bit different next week. But it’s all part of the process, right? You move out with the boyfriend, buy a couch together, split the bills, open a joint bank account, and spend your Saturdays at Home Depot looking at paint chips. 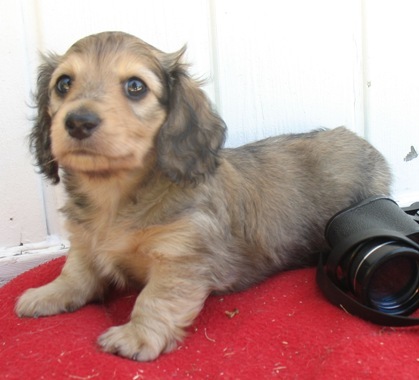 Then you get a puppy. I’m thrilled, obviously, because I love animals. I’ve always had pets – lizards, rats, cats, dogs, you name it. My boyfriend Tyler, on the other hand, only had a hamster when he was quite young, and it died not long after they got it. He could care less if we got an animal, but it’s what you do. Last night, at a friend’s birthday party, three couples out of our group of friends brought their dogs. They were tearing all over the house, fighting, chewing, puking. Give it a couple more years and the dogs will be left at home; instead, everyone will be bringing their kids to parties and letting them tear all over the house, fighting, chewing, puking. As much as I’ve been fighting this “process”, it’s happening. I always thought I’d be some sort of nomad writer, travelling to exotic locals and writing about worldly issues. 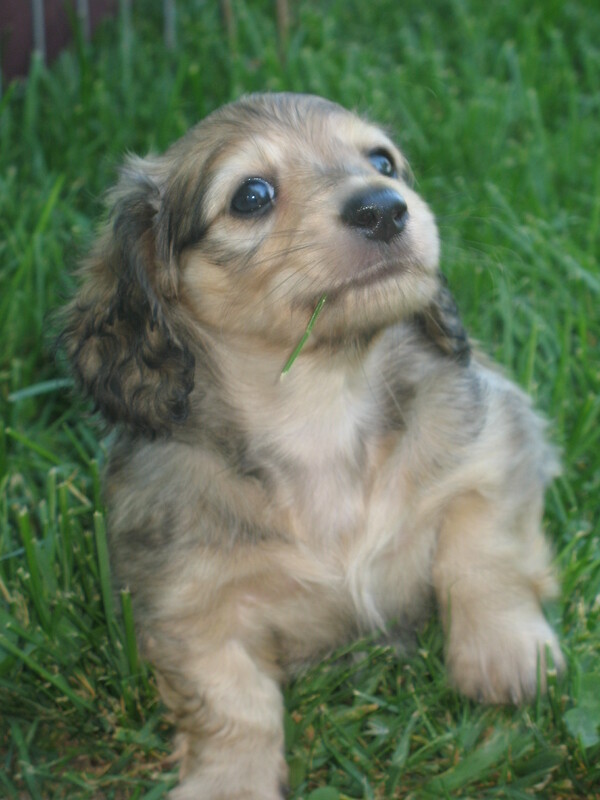 But as of next week, my boyfriend and I will be responsible for a cute bundle of fluff, and not long after that, a house with a yard that will require many more Saturday trips to Home Depot. As much as I long for travel and adventure, I like where I am in my life. It’s quaint. I’m reminded of that scene in the film Marley and Me, where John (the main character who writes a column about his lab Marley for a local newspaper) bumps into his old writer buddy who has been travelling the world, writing about Pulitzer prize-winning issues. His friend talks briefly about his latest writing assignment, then asks John how his life has been. John pulls out a family photo of his wife, kids and Marley, and beams. You can see the pang of jealous on John’s friend’s face. And it’s true – when you don’t have anyone to enjoy your time spent on earth with, what’s the point? And who’s to say I can’t write and travel eventually? When I do, at least I’ll have something to come home to and share my adventures with. 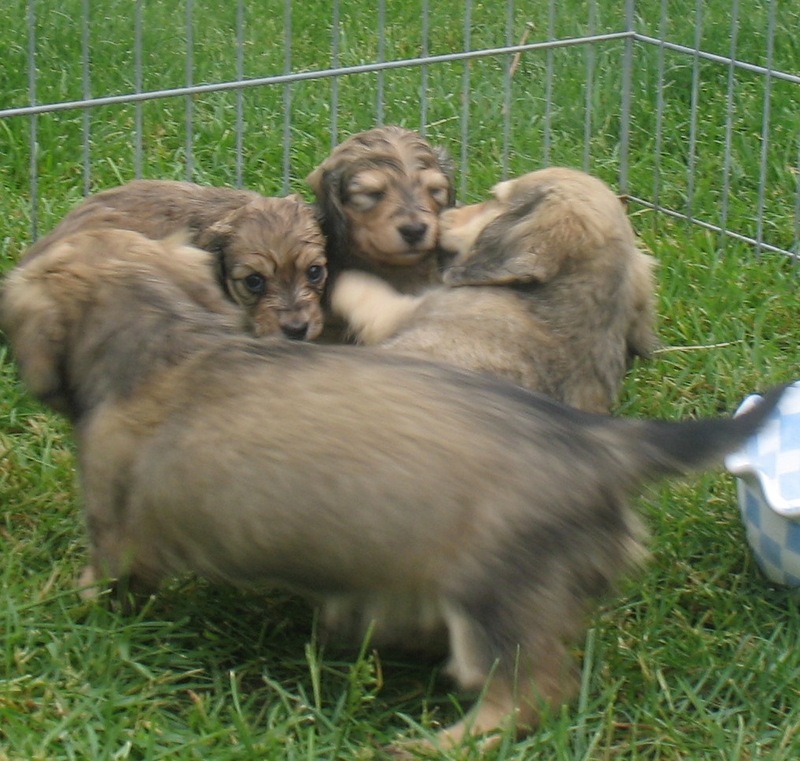 Indy and his sister meeting some older dachshund pups - look how cute Indy's face is! So I’ve stopped fighting the process. Last weekend, we bought a puppy pen, chew toys, and a bed. I’ve been reading Cesar Millan’s puppy training book, and I’m all set to go. The parents are all saying this is good training for other responsibilities, but I’m not even thinking about that yet.